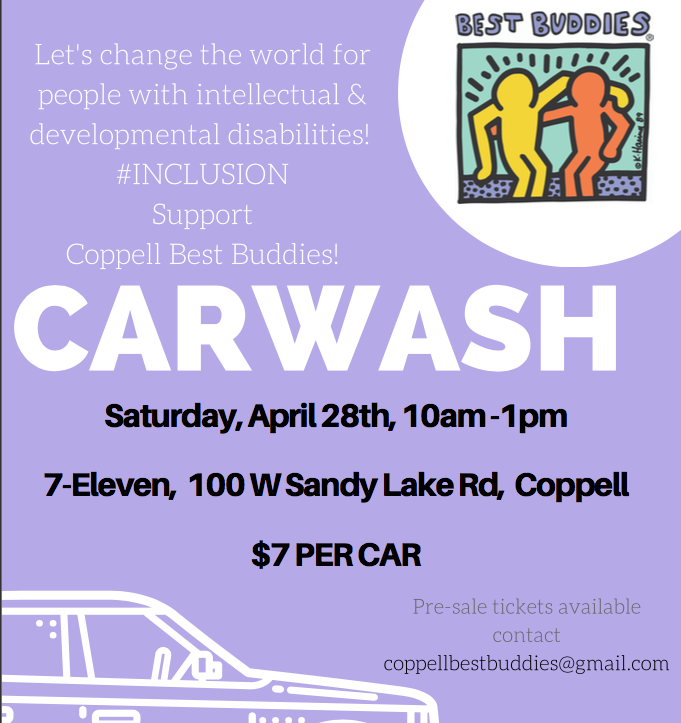 On Saturday, the Coppell Best Buddies club at Coppell High School will host its first car wash to raise funds for buddies, or those with intellectual and developmental disabilities. The car wash will also provide funding for the upcoming end of year party and member dues for the club. The event will be held from 10 a.m. to 1 p.m. 7-Eleven at the corner of Denton Tap Road and Sandy Lake Road and is open to the public. Pre-sale tickets are available for purchase at $7 from Coppell Best Buddies members and in room E106. They can also be bought at the carwash. Buddies will be participating in the car wash and advertising for the event. Its first year as a club at CHS, the club hopes to raise awareness about disabilities as well as reach out to more sponsors in the community. “We just want as many in the community to come out and support us,” freshman club president Roshni Patel said. By holding this car wash, buddies are involved in the community by providing service by collaborating with others. 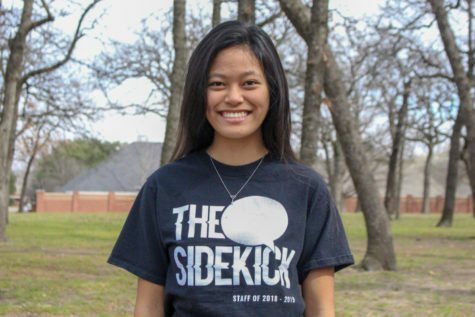 “We’re trying to show the buddies how you can do projects as a group,” Coppell Best Buddies sponsor and forensics teacher Rebecca Wheatley said.